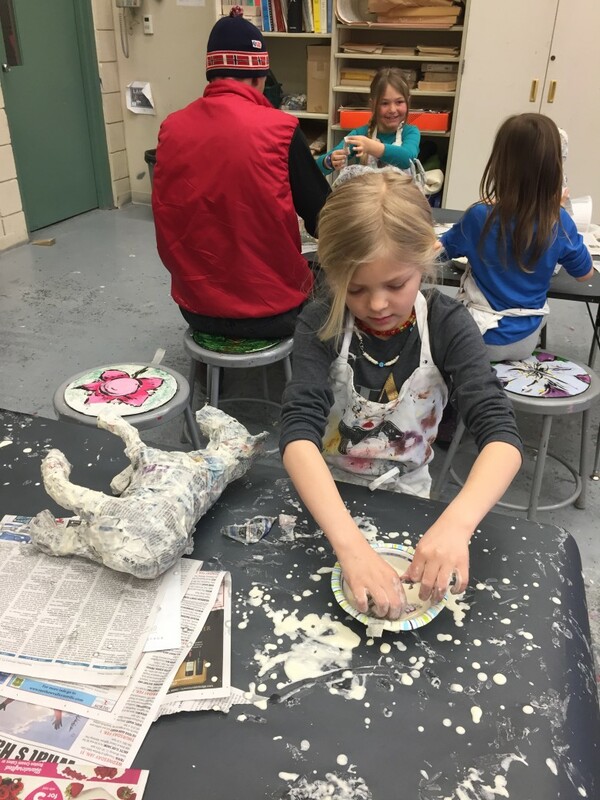 When do you get to see the Methow Valley Elementary School art room filled with eagles, cougars, rattlesnakes, herons, and black widows? Second graders know the answer to this–when Trish Rouse visits the school, that’s when. 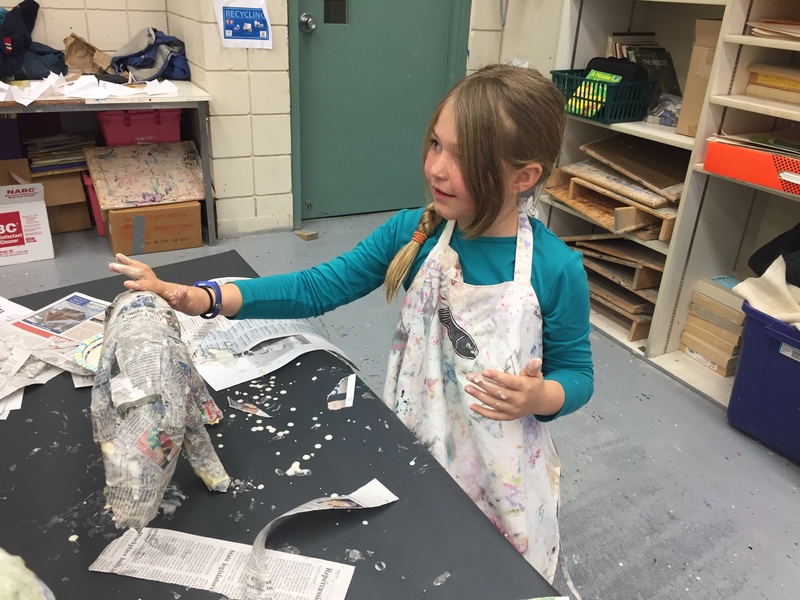 Rouse, a Mazama-based artist and teaching artist, has been leading papier-mâché residencies for second graders in the Methow Valley for 3 years. 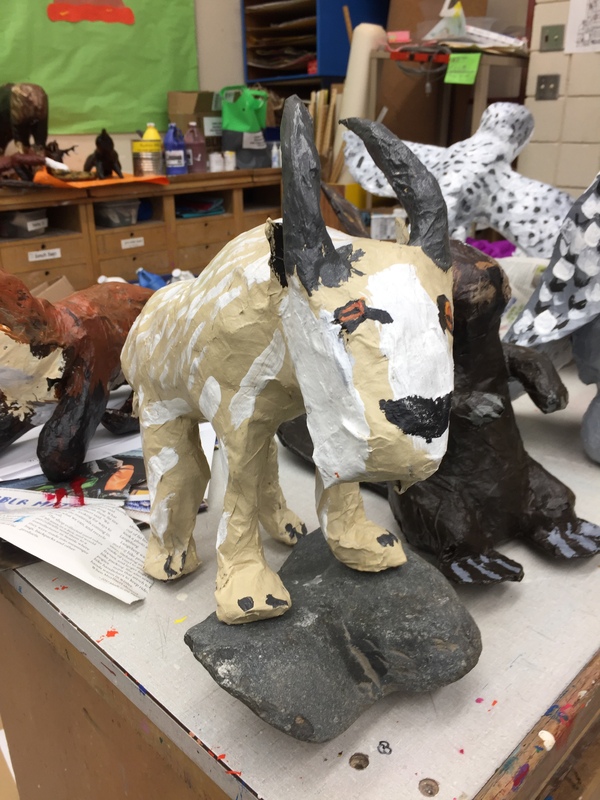 The residency begins in the classroom with research on “critters of the Methow Valley.” Students select a local animal, learn about its habitat, locomotion, diet, and physical characteristics. They then draw pictures of the animal’s exterior and what they imagine the skeletal system inside to be. 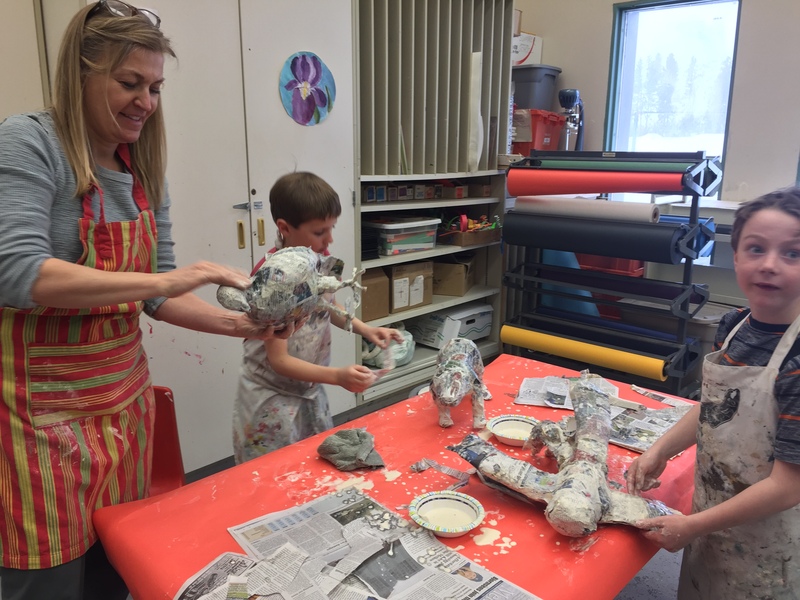 Phase three is a simple coat of primer paint (although managing 25 kids each with a paint brush and paint can is never simple, despite the fact that Rouse makes it seem so). 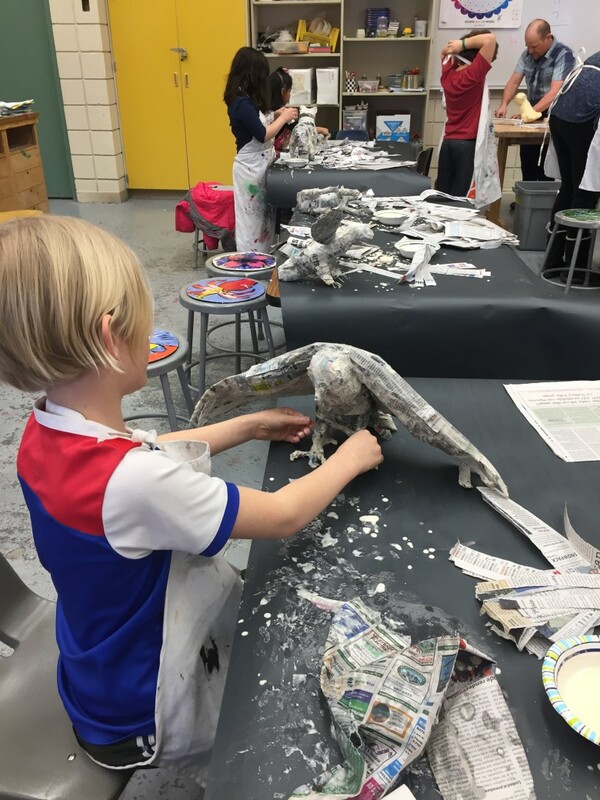 When the primer dries, the students begin adding distinguishing features to their animals–painted feathers and fur, dots, lines, whiskers, paws, and eyes. Talons are created from wire, sharp predator teeth are formed from clay. 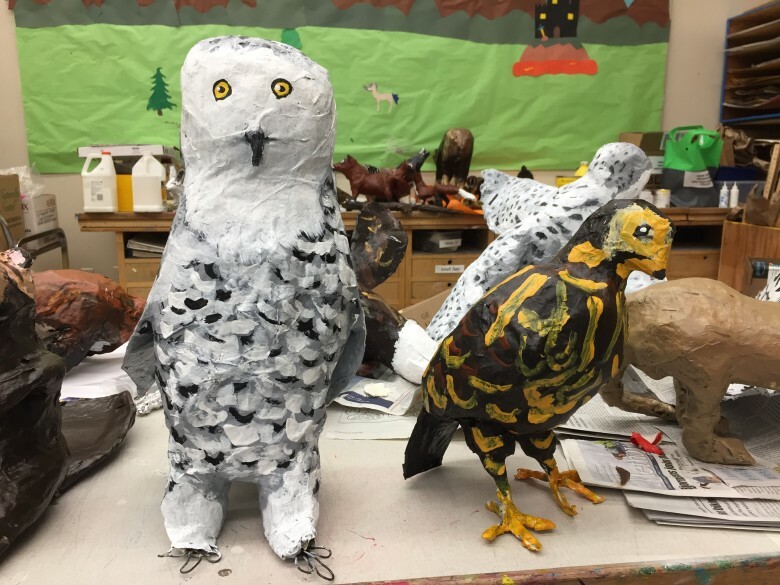 The critters are currently displayed in the cafeteria at Methow Valley Elementary School.